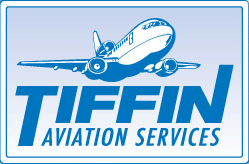 Tiffin Aviation Services offers a variety of FAA Approved School Part 141 and Part 61 training programs from Private Pilot through Airline Transport Pilot as well as Flight Instructor Certification. Our facility at Nogales International Airport provides for comfortable and well rounded base for your flight instruction. Located in southern Arizona south of Tucson at an elevation of 3996’ we have outstanding year round flying weather and temperatures 10 to 15 degrees cooler than the lower elevations. Additionally, our traffic loads at Nogales allow for minimum delays, which translate to a very cost effective use of your training flight time and dollars. 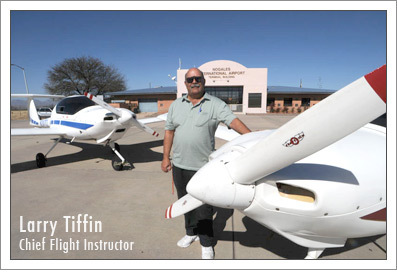 Our Chief-Flight Instructor, Larry Tiffin brings over 30,000 flight hours and 40 years of experience to our program management and customer service. Optimal weather conditions maximize training efficiency. Lodging is close to the airport for comfort and convenience. Aircraft maintenance is performed on site for reliability and safety. Flexible individualized scheduling allows for you to attain your goal in minimum time. Instrument Approaches ILS, PAR, VOR, NDB and RNAV/GPS all a short flight from Nogales. are in outstanding condition, and easily handle aircraft as large as Boeing 737’s. We are approved to issue I-20 applications for your M-1 Student Visa through SEVIS/ICE for your Pilot Training. Our staff is experienced and ready to handle your specific flight training needs. Contact us for more information.